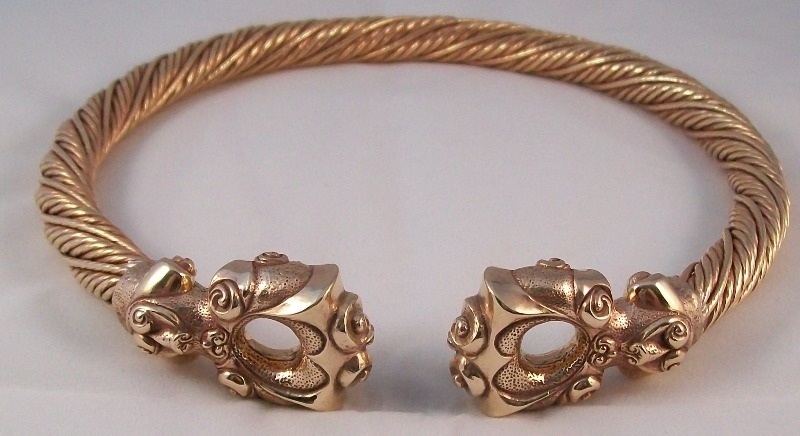 A stunning Bronze torc based on the Grotesque or "Marriage" torc found in one of the Snettisham Hoards. Handmade cast bronze terminals fixed onto hand-twisted bronze wire. Length of terminal from wire twist to tip approx 46mm.